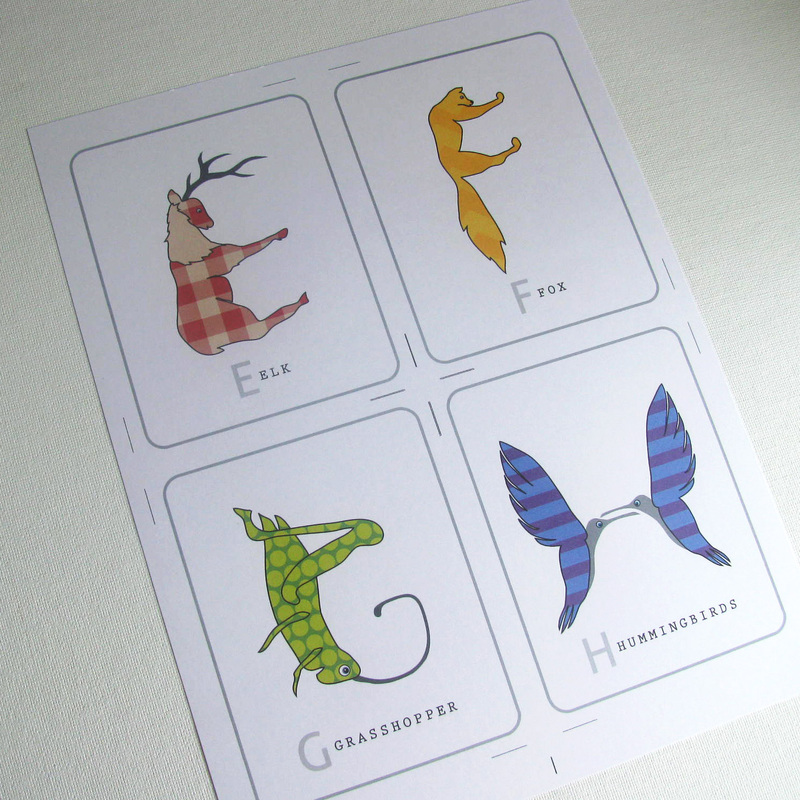 I've put some new ABC cards up in the shop--look familiar? I originally made them as posters, but I'm kind of loving the smaller size of the 4 inch by 5 inch cards. 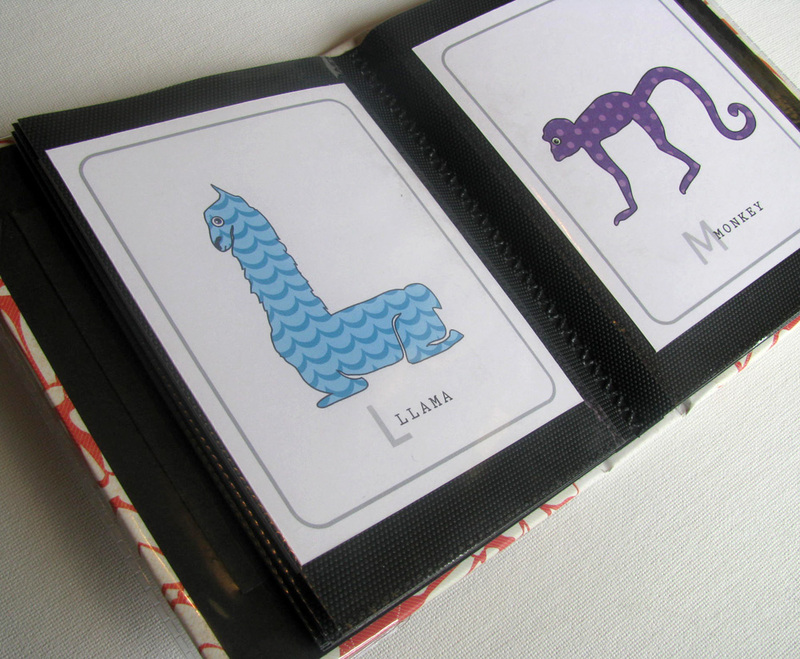 I made a fun little book for my kiddos by putting the Animal shaped Alphabet Cards into a simple photo album. My animal loving sweetie has been enthralled with it. They've been a bit of a hit, and we really haven't had a giveaway for a long time . . . so we're having a giveaway! To enter for the printable Animal Alphabet leave a comment telling me what you'd do with the Animal cards. Giveaway ends Monday, May 7th. One winner will be posted May 8th. My daughter is currently obsessed with any and everything to do with ABCs. One thing I've been wanting to do for her is get some cute, fun ABC cards for her to match to her little wooden letters. She would also LOVE the animals! You have such a beautiful set of ABC cards! I would print them all out and put them into a little album like that. 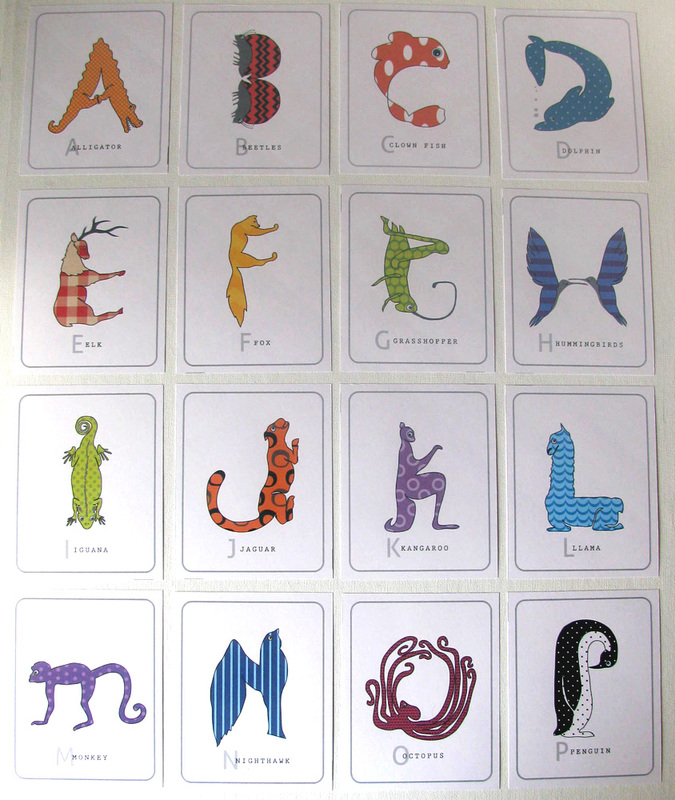 With three kids all at the age of learning their alphabet it would come in super handy. Another fun idea would be to shrink them a little more and make them a memory game. They love to play memory! These are so cute. Love that they aren't really cutesy and little kid-ish. I have the perfect place to hand them in my kiddos' room. These cards are so neat! My little guy would love to look at them in a book, maybe even hanging on the wall. I've been a blog stalker for ages. I just love the style of your design, it's so so fresh and fun. They are so cute. I would love to hang these up in my 2 year old boys room, he really needs something beautiful in there. They would look great. Would love these abc printables, I am a retired teacher and have a niece who is a teacher....teachers tend to spend all they make...on teaching....so many would enjoy these in her classroom being a public school teacher. You do wonderful work.